It’s impossible to miss Maltese balconies when in Malta. (Hence their name!) They come in all shapes, sizes and colours, and brighten up our island. But a little-known fact is that, when they first started spreading throughout 19th century Valletta, they were typically painted with a deadly green paint called Vienna Green. It’s a lucky fluke that the balconies didn’t ultimately bring more gloom than cheer. 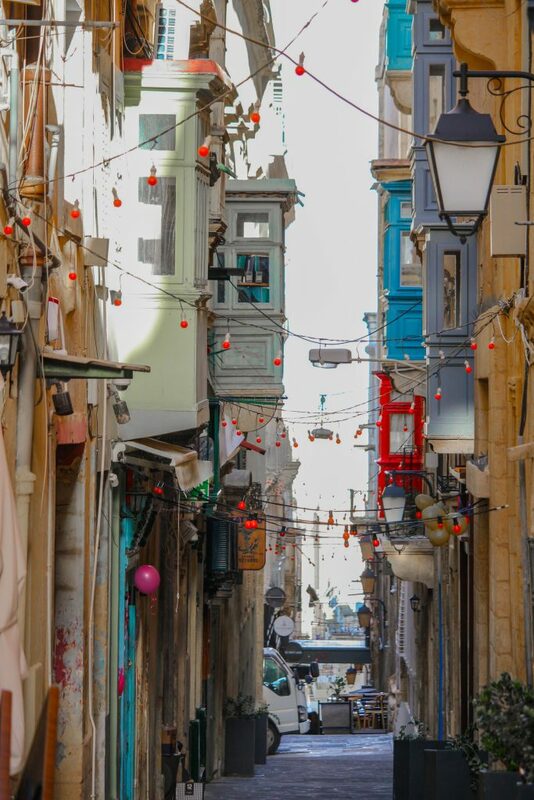 Vienna Green’s toxicity lay dormant for years, as Valletta’s airy, sunny balconies provided the complete opposite of the dark, damp conditions needed for its toxicity to be unleashed. The main pigment within Vienna Green is a chemical called copper acetoarsenic. This can convert into a volatile form of arsenic, but only when mould is present. The mould spontaneously digests the Vienna Green, releasing volatile arsenic in the process. Arsenic itself should need no introduction – suffice to say it used to be called ‘the inheritance powder’, and for a long while served as the poison of choice to dispose of unwanted relatives and rulers. More and more volatile arsenic is unleashed when Vienna Green is present in damp, dark, unventilated environments as mould happily thrives in these conditions. It was the Brits who introduced Vienna Green to Maltese balconies, and they weren’t as lucky as il-Beltin (Valletta residents). Back in the UK, the pigment was used to colour wallpapers and tapestries. Here closed, damp, dark rooms provided the perfect environment for mould to grow and volatile arsenic to accumulate. Numerous cases started being documented of unexplained similar sicknesses – loss of appetite, trouble breathing, horrible stomach pain, nausea, and sometimes death. It took a while to notice the two common threads linking them all: green wallpaper and a faint garlicky smell. Unsurprisingly, this hypothesis met with lots of resistance – how could wallpaper be deadly? It took about 100 years for this to be proven conclusively. In the meantime, oblivious Beltin happily hung out in their green balconies; spying on people in the streets below, gossiping with neighbours, hanging clothes and drinking tea. The deadly paint was eventually replaced thanks to natural wear and tear, though in a serendipitous nod to this chemical history, green remains the balconies’ predominant colour. 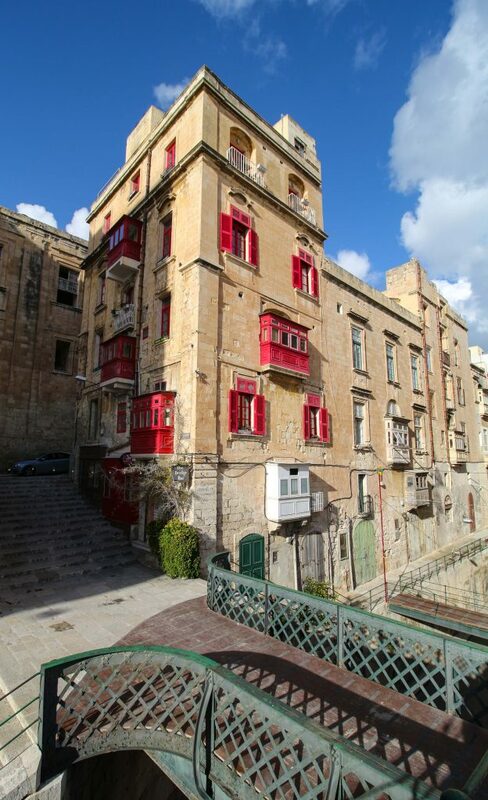 Although now an integral part of the Maltese landscape, Maltese balconies haven’t been around that long. 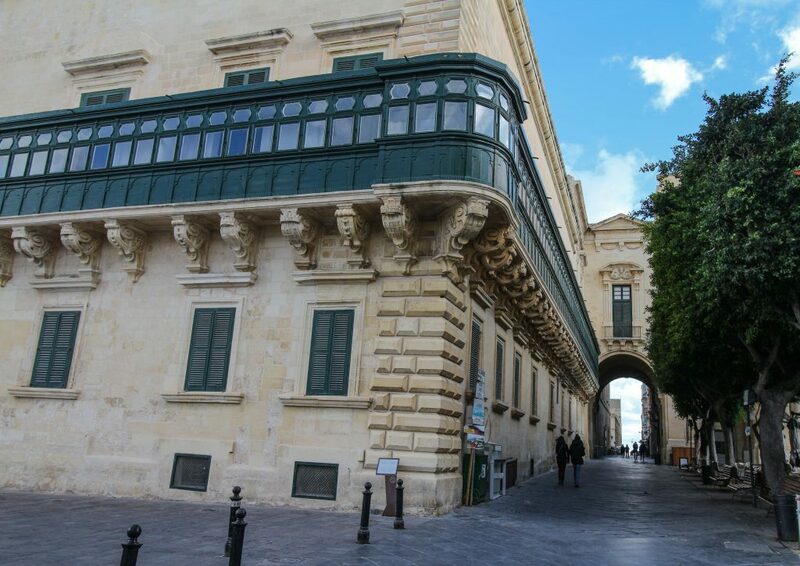 The first apeared in the 17th century, on the Grandmaster’s Palace in Valletta (picture below). The fashion took a while to take off as glass panes and wood were rare and expensive. 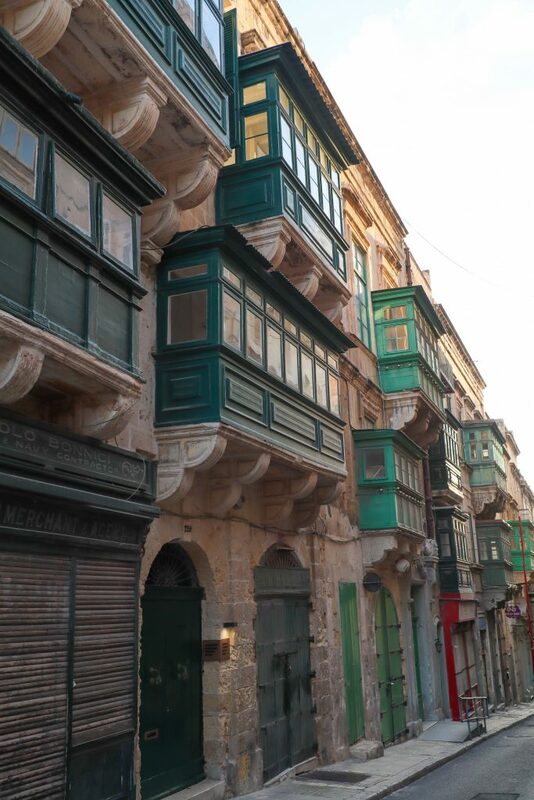 The balconies rapidly multiplied in the 19th century thanks to the global industrialisation of glass manufacture, and contemporaneous increased availability of wood on the Maltese market due to British rule. 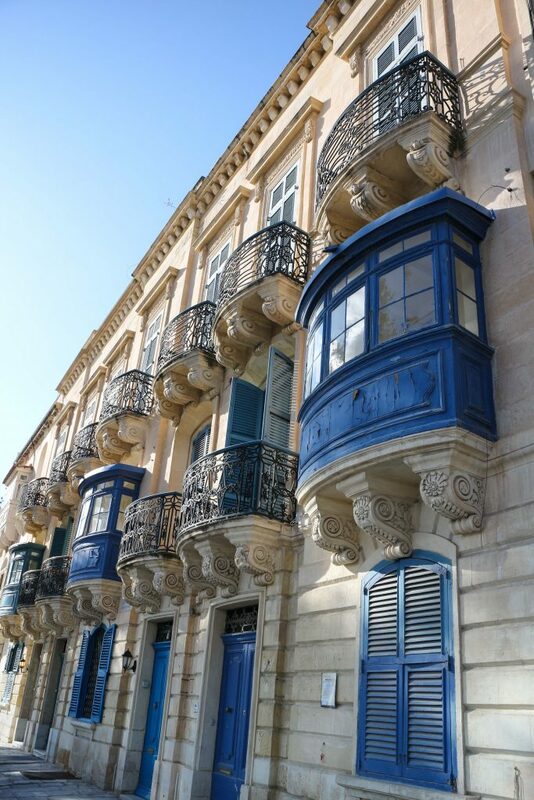 Although they had posh beginnings, Maltese balconies often doubled up as toilets in poorer households. 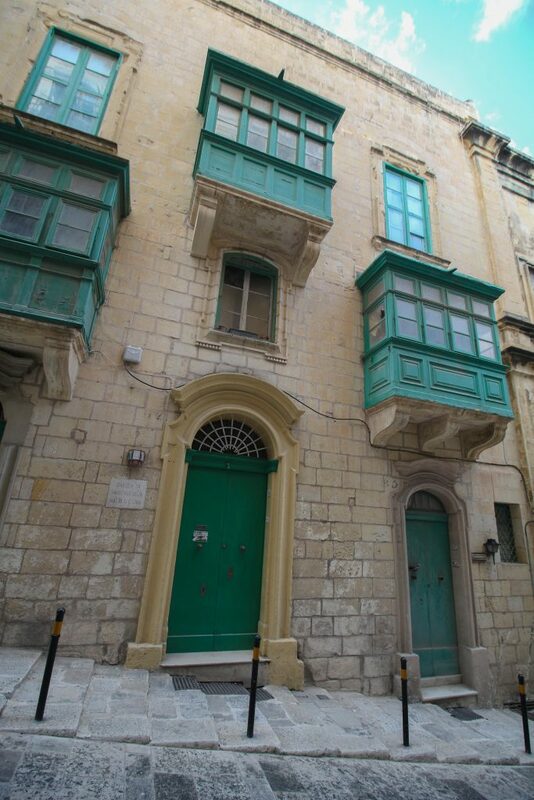 In the 19th century, home toilets were introduced, and many Maltese found it convenient to set up their loo and associated plumbing on their balcony rather than rework the inside of their small homes. 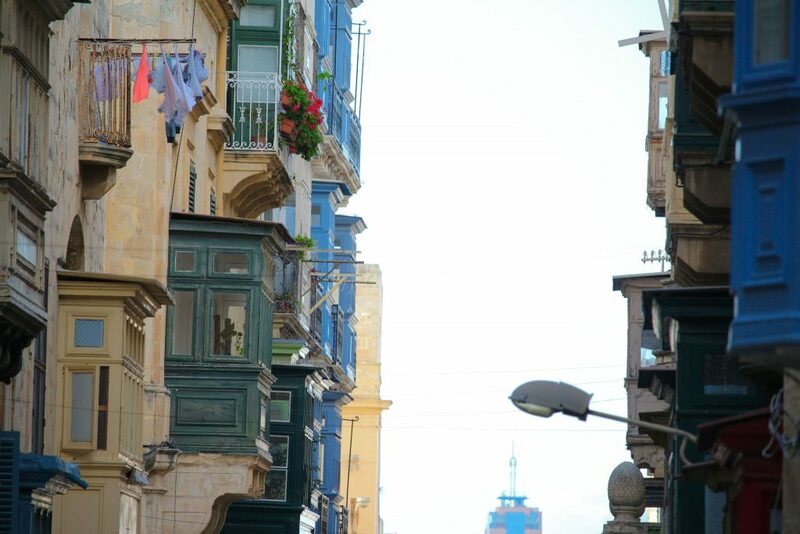 Riots in June 1919, known as Sette Giugno, left their own mark on some of Valletta’s balconies. In these riots, Maltese people revolted against the British and demanded representative government. At the same time, lots of indiscriminate looting took place, so some balcony owners bored a hole in the floor right above their front door, through which they could fire a gun at any intruder. At first glance Maltese balconies may look all the same, but look more discerningly and you’ll discover a wealth of differences. Each balcony has a character of its own! Plan a stay in your own Maltese balcony here or here.